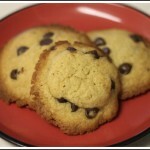 Yesterday I posted a recipe for chocolate chip cookies made with self-rising flour. If you’re looking for a few more, here are some other recipes that call for self-rising. 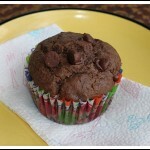 Easy Chocolate Muffins — I’ve made this recipe twice in the past week. 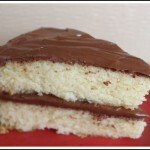 They’re perfect if you like a not-too-sweet muffin, but if you add 2 tablespoons they’ll be more dessert-like. 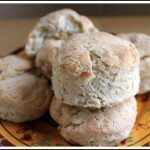 Sour Cream Biscuits — In this post I used the biscuits for strawberry shortcake, but they are delicious by themselves. Yellow Cake — This recipe, adapted from the Magnolia Baker Cookbook, calls for half self-rising flour and half all-purpose. 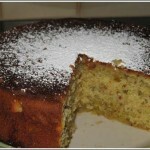 Pistachio Cardamom Cake with Lime Glaze — This cake is made in the food processor. The flavor is slightly exotic, but in a good way. 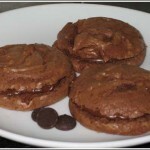 Nutella Sandwich Cookies — These are made using three ingredients — flour, eggs and nutella. Chocolate Chip Cookies — I made these yesterday. They had crispy, brown edges. I must have missed the Nutella cookies the first time around! They look so good! Thanks for the recap! I’ve never used self-rising flour before but I’m going to have to check it out!